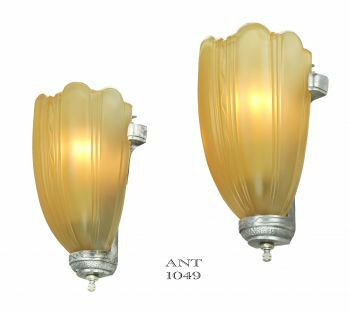 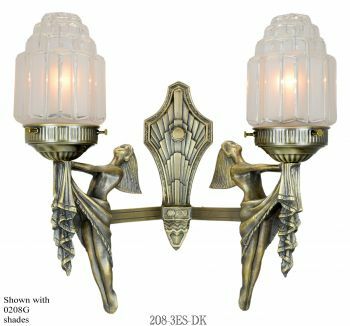 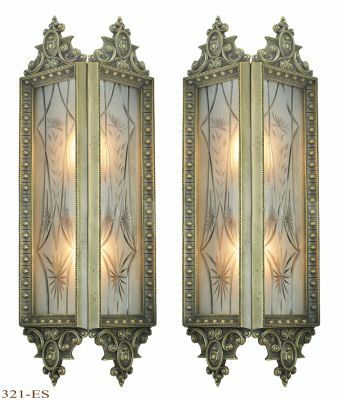 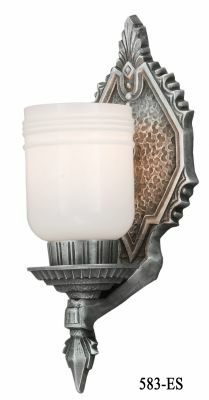 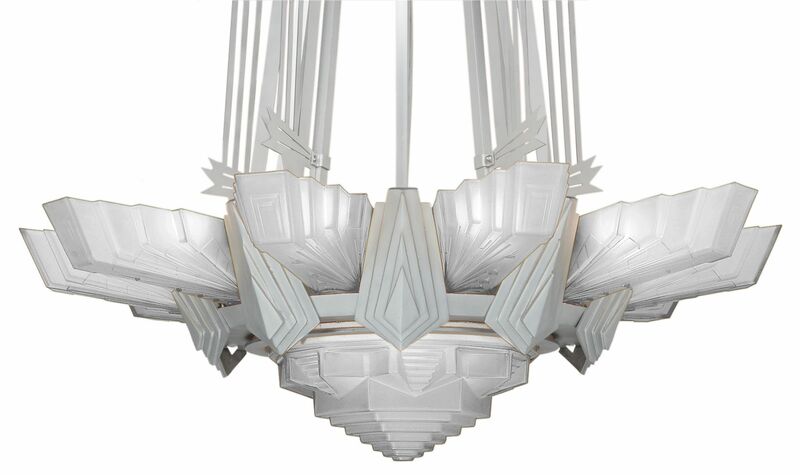 Cannot get more iconic Art Deco motif than our 645 eleven shade chandelier (ten slip shades & one center shade) along with our matching 644 sconce. 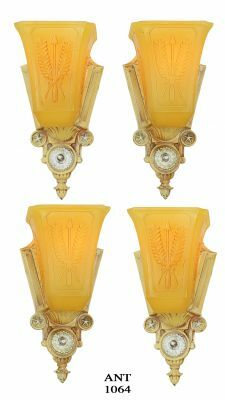 The Wonderful step-Art Deco Shade.. with embossed step deco designs... is available either in Frosted glass or Amber glass finish. 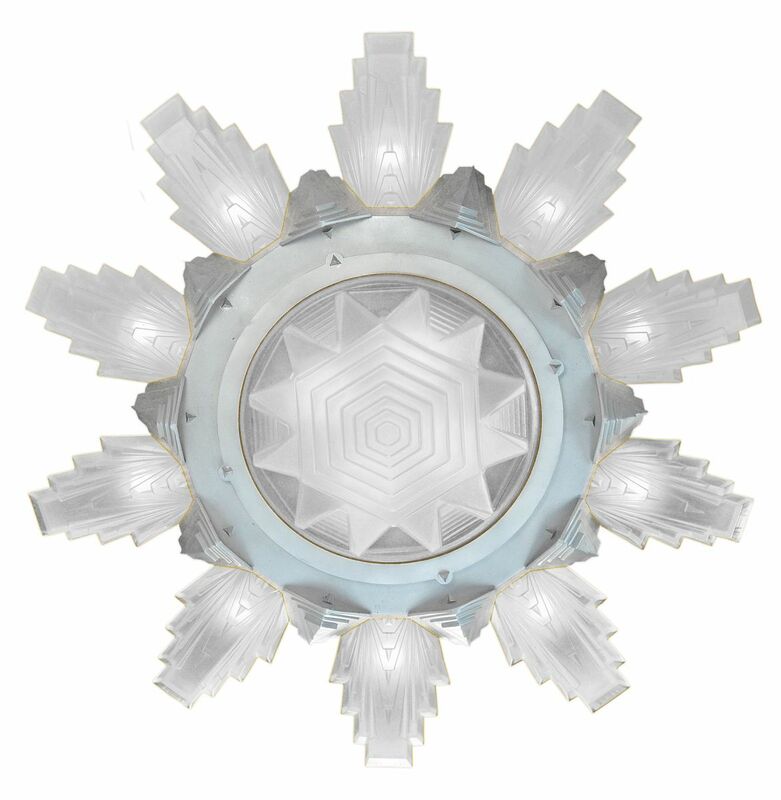 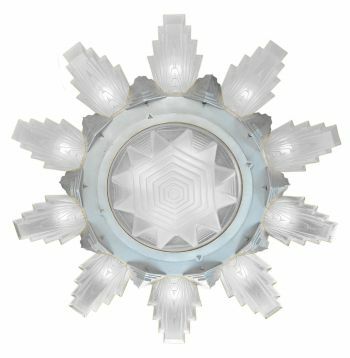 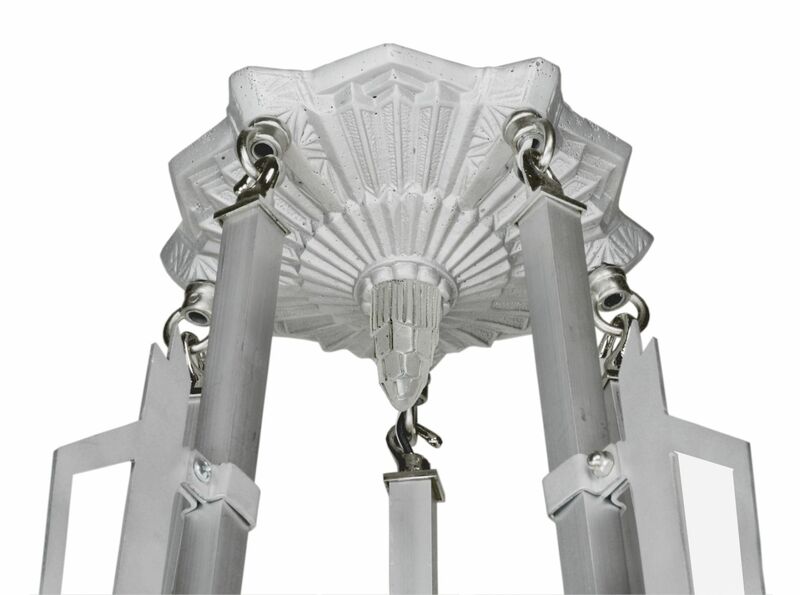 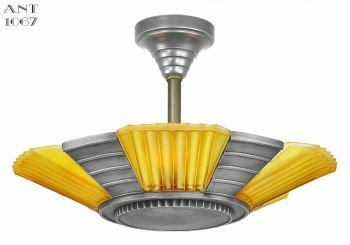 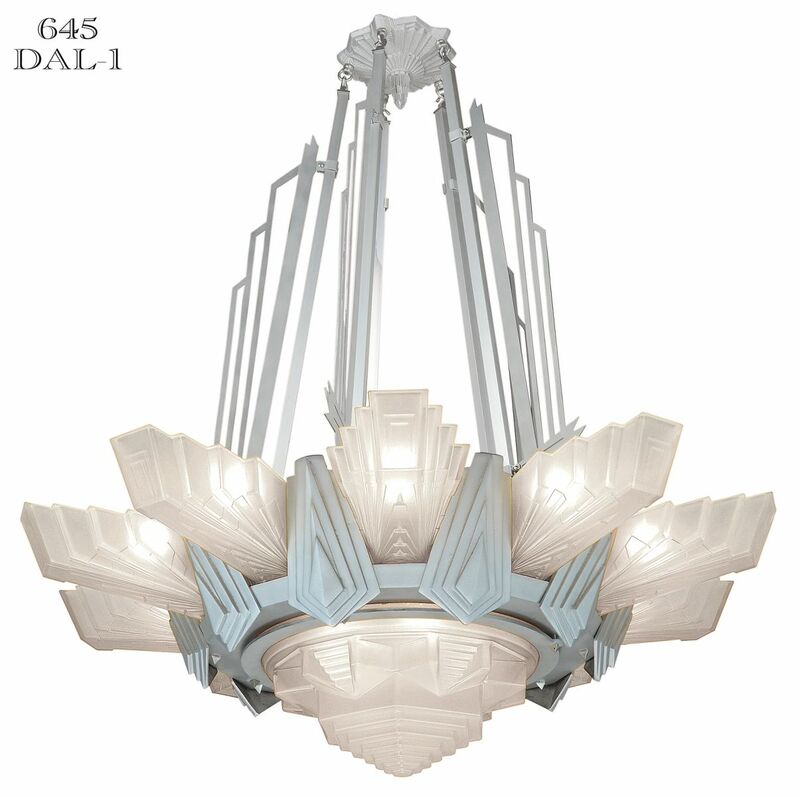 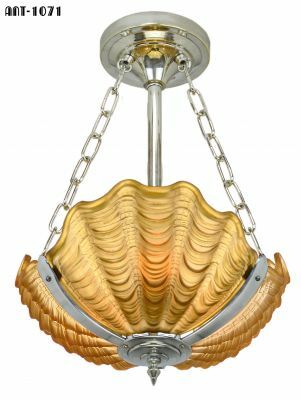 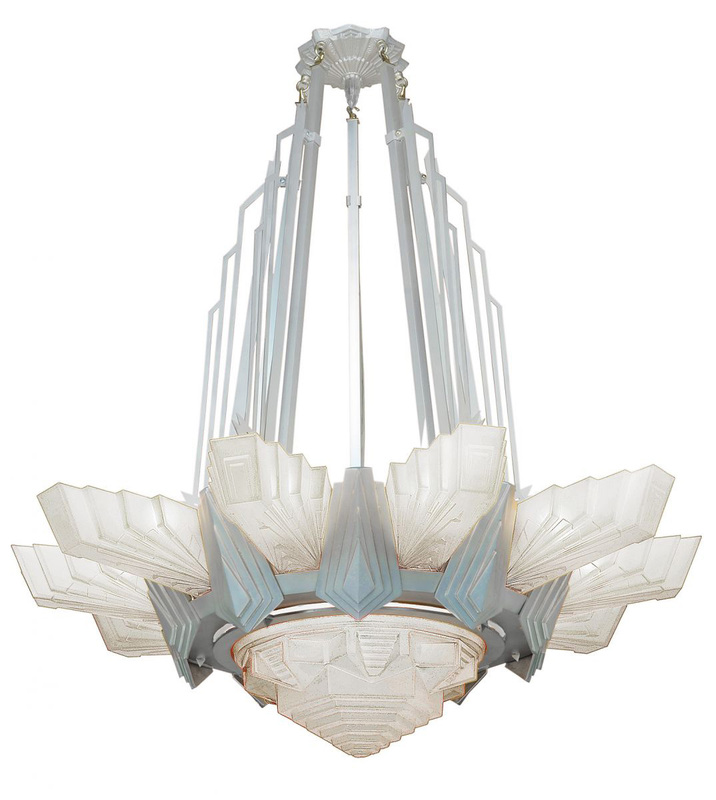 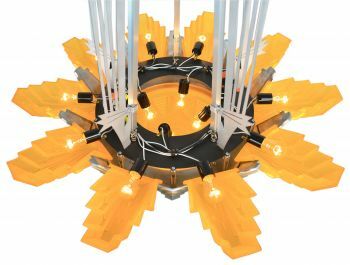 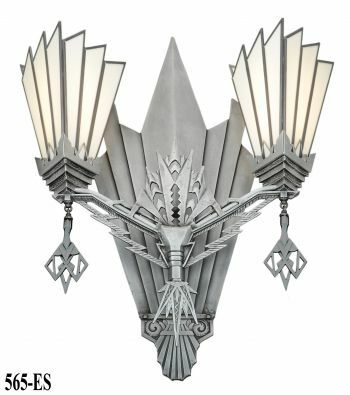 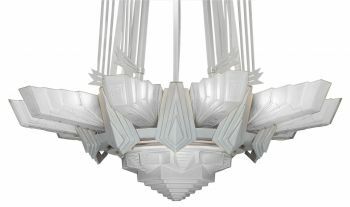 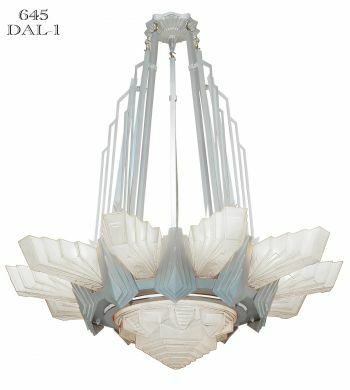 645....We now make this fine ten light chandelier in Aluminum & White Metal which was the main look of the Art Deco 1930s. 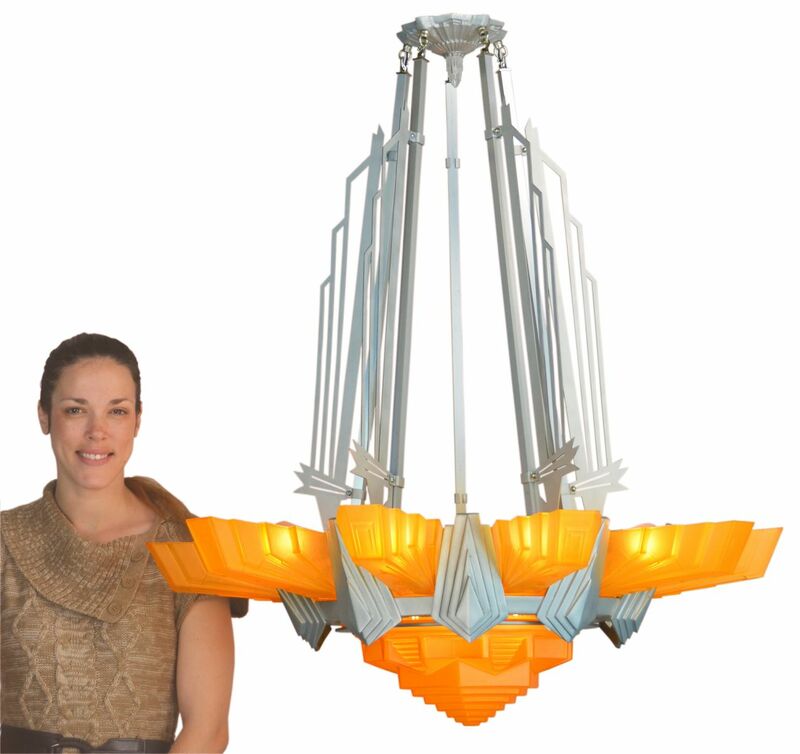 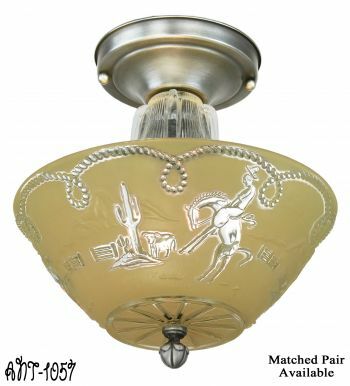 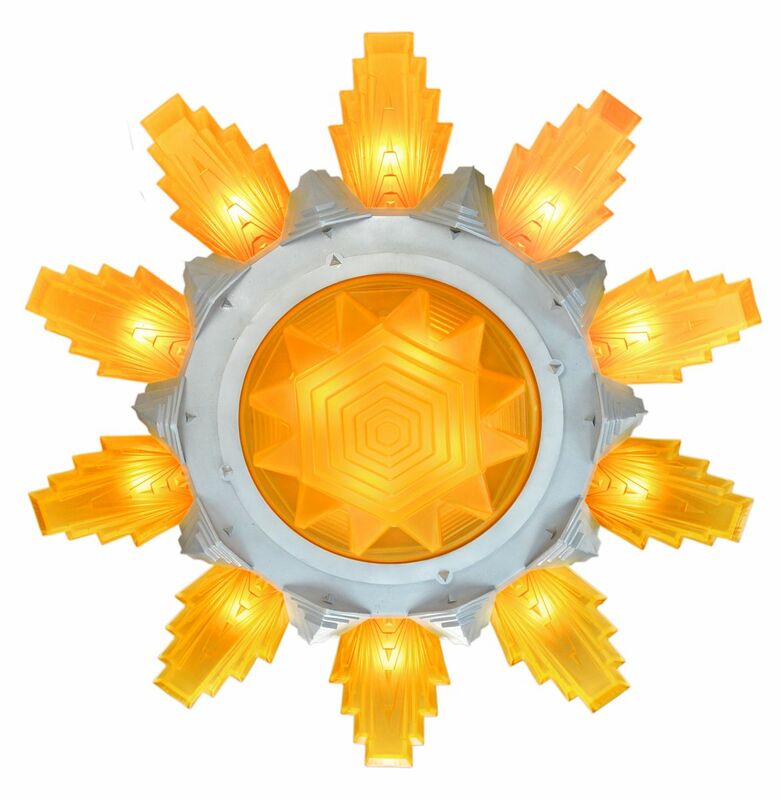 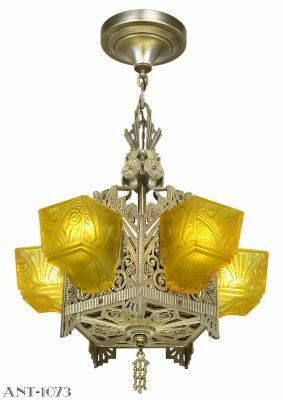 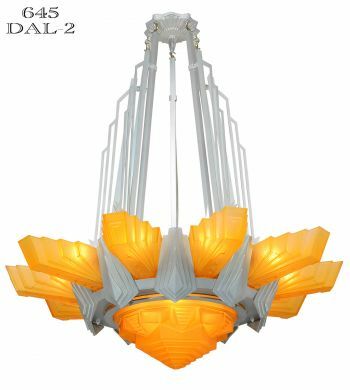 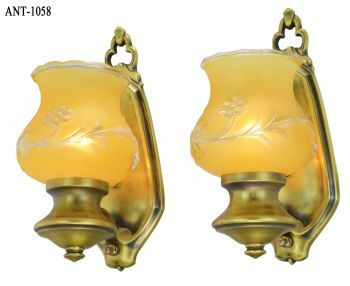 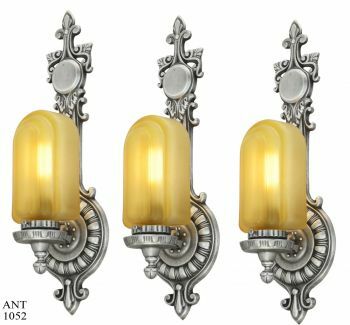 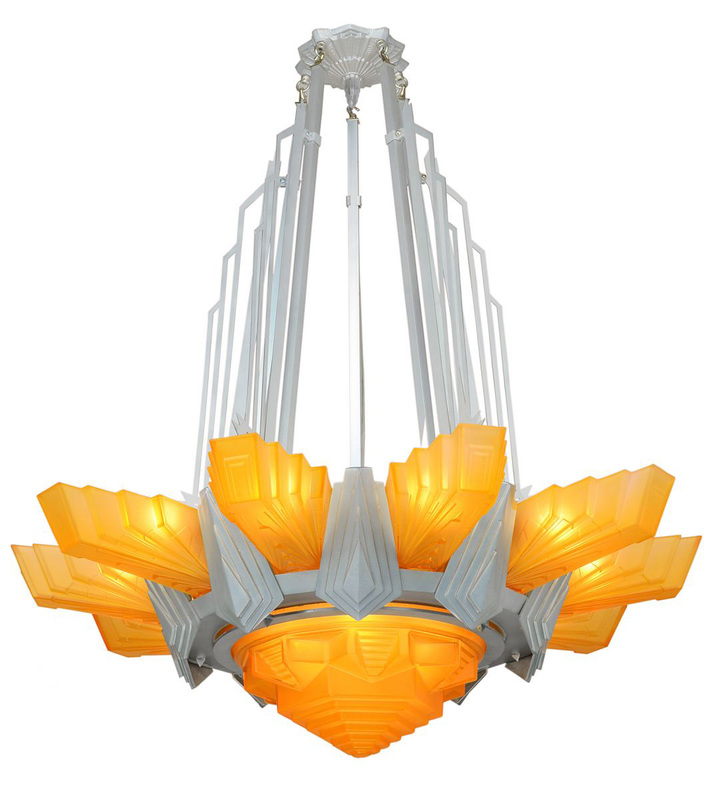 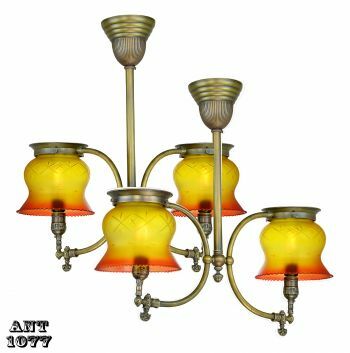 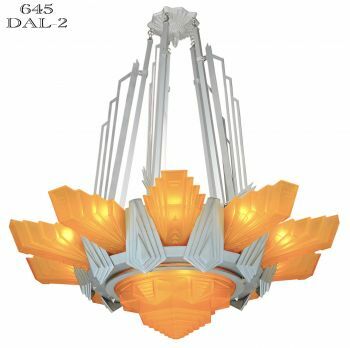 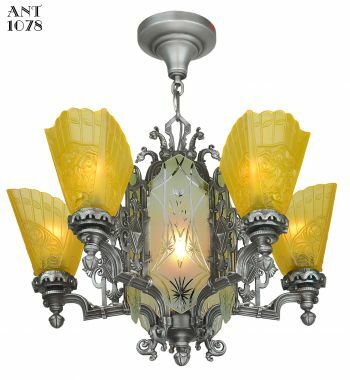 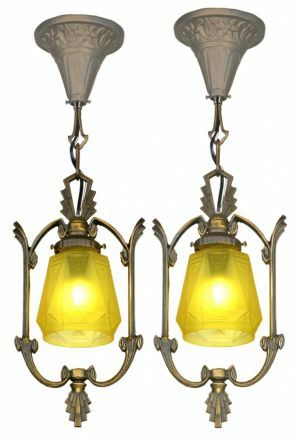 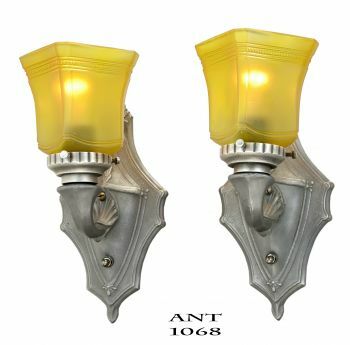 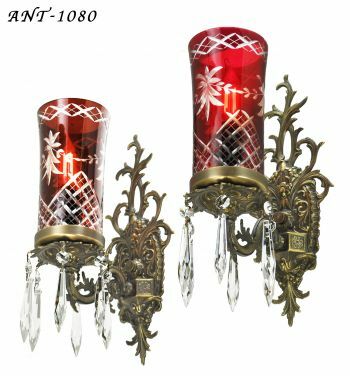 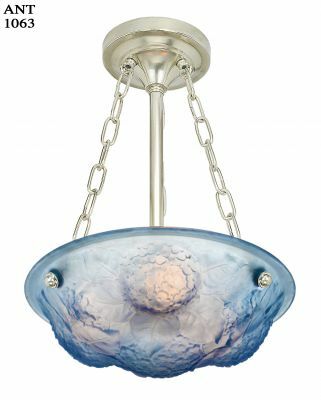 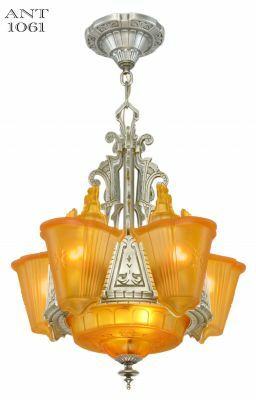 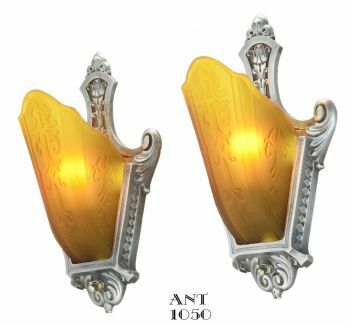 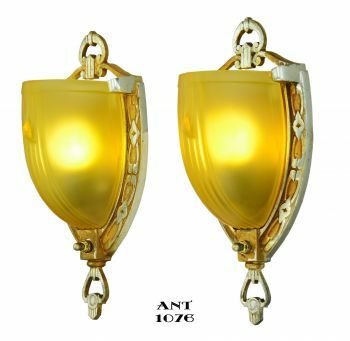 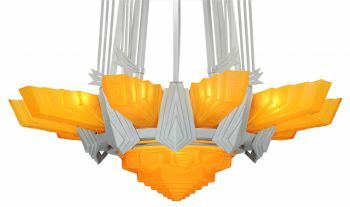 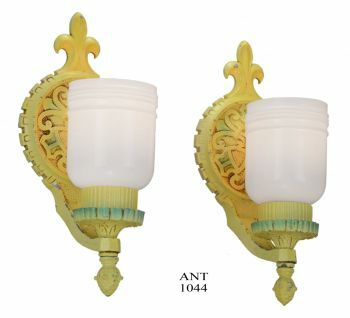 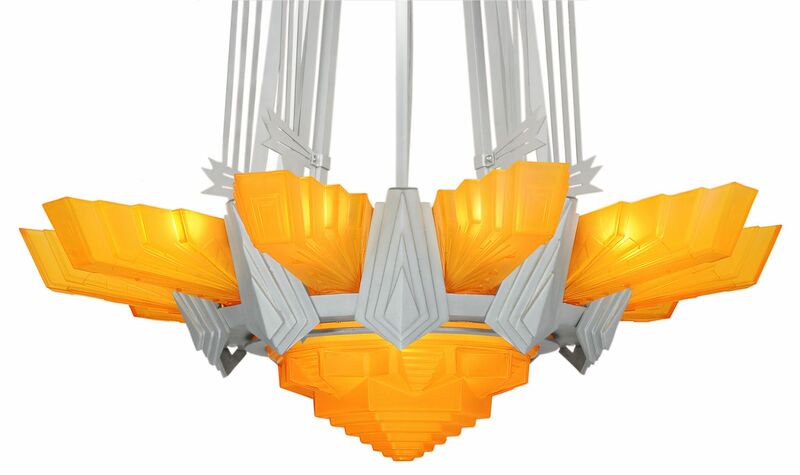 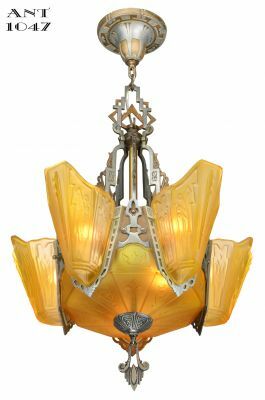 Mix this chandelier with a choice of either amber or frosted shades. 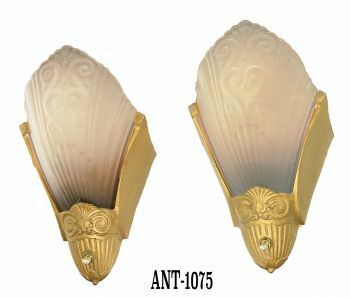 A wonderful application and result. 645 Measurements: A good 36 1/2” diameter—shade tip to shade tip. 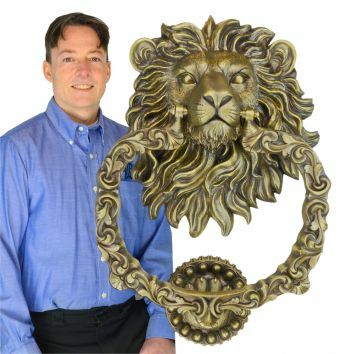 It has a standard height of 42” as shown. 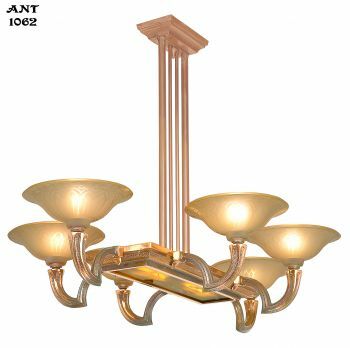 It can be lengthened by a single cener rod extension. 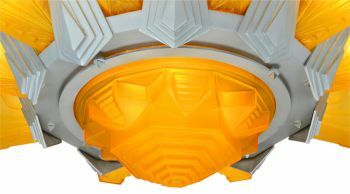 Hard to shorten without redesigning the support struts...but it could be done. This is a fourteen bulb fixture as can be seen from the internal pix. 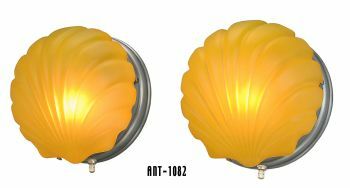 There are ten slip shades and a bowl that receives a bulb lighting option. 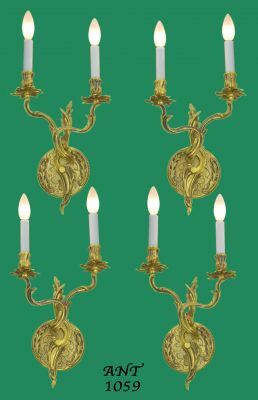 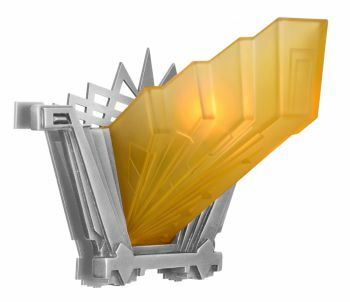 .....However.....if Energy-Green sockets.... (i.e. 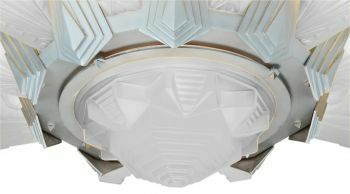 non screw-in light bulbs) ... is required.. to meet some building codes, that is simply—no problem...we can install a GU-10 or GU-24 or other LED sockets based on the bulbs you wish to use.